DALLAS (AP) — Busloads of visitors still flock to Dallas homes where Lee Harvey Oswald lived before President John F. Kennedy was assassinated on Nov. 22, 1963, but historic preservation concerns are growing as the area gentrifies. One spot includes a rooming house where Oswald was a tenant, with the current owner leading visitors on a $40-per-person tour of the small room where Oswald slept, The Dallas Morning News reported . Patricia Puckett Hall owns the home and has restored the bedroom, which features his same narrow bed and an upright armoire that held his clothing and his handgun. The 66-year-old said she’s not sure how long she can work to preserve that bit of history and will likely have to sell the home soon. 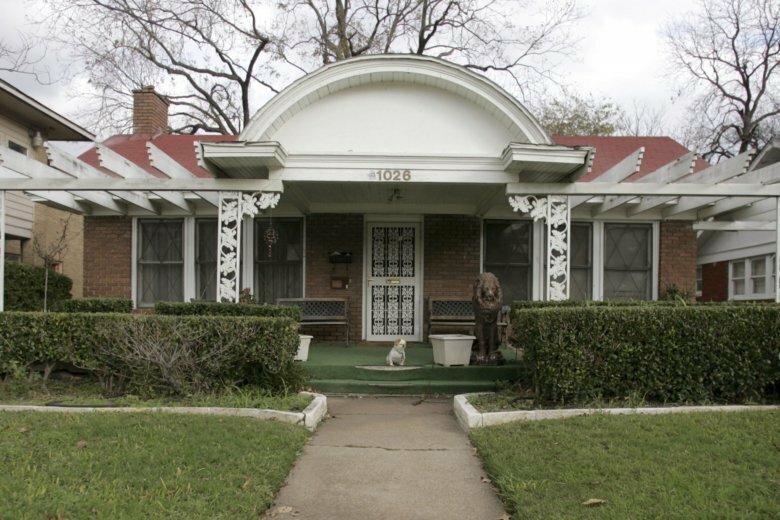 That house and a nearby duplex that Oswald occupied with his wife are both in Dallas’ Oak Cliff neighborhood, which has seen a lot of redevelopment in recent years. David Spence, whose company Good Space has been involved in redevelopment and preservation in the neighborhood, said the duplex could be turned into a single-family residence. But zoning rules would prevent it from becoming something commercial. The other house, however, could be converted into something else entirely, he said. Dallas Mayor Mike Rawlings said he advocates for historic preservation and would be happy to work on the issue. “That said, we have not heard from the owners and I’m not aware of any taxpayer funds allocated for programming or preservation related to those properties,” he said. The city of Irving in 2009 bought the home that Oswald stayed in the day before he assassinated Kennedy. That building has since been turned into a museum.